History is full of exciting spy stories, but the spies are usually older, experienced and extremely world-weary. 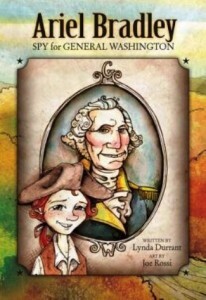 Not so with author Lynda Durrant’s latest picture book, Ariel Bradley: Spy for General Washington. In this delightful book, Ariel is a typical nine-year-old boy in British-controlled America who spends his days helping out on his father’s Connecticut farm and drooling for his mother’s hot and fresh berry cobbler. When the book opens, Ariel is waiting for his two brothers to come home on leave from the war of 1776. When they arrive and announce that General Washington is in need of a Johnny Raw — a spy who wears a thick-brained expression on his face while memorizing everything he sees and hears — Ariel discovers that even a nine-year-old can strike a blow for freedom. Ariel becomes a spy. He rides straight into several enemy camps with a blank expression on his face, each time asking, “Which way is the mill?” Of course there is no mill, and while the soldiers shoo him on his way, Ariel memorizes their numbers, the health of their horses and the quantity of gunpowder in their possession. Then he takes what he has learned back to General George Washington. Although Ariel Bradley is a story about a much simpler America when huge farmlands existed and the most exciting thing about a boy’s day was whether or not his mother had baked a cobbler, the writing is anything but dull. Ms. Durrant’s prose sparkles with realism and her readers feel the same fear and excitement that Ariel feels as he embarks on his crucial adventure. Also, artist Joe Rossi’s illustrations are cozy and familiar, and have just the right touch to bring young Ariel and his dangerous adventure to life. This book should fare well as independent reading for the emerging reader. It can be used as a jumping-off point for discussions about the War of 1776, the role of a spy in war time, and dangerous occupations. 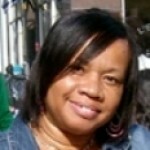 It can also be used as supplemental reading during lessons on early American history.